LONDON — Hundreds of flights were cancelled and hazardous roads and railways disrupted traffic and caused countless accidents across Europe on Monday as heavy snow and freezing weather gripped the continent. Frankfurt airport, Germany’s main air hub, cancelled around 500 departing and arriving flights, representing 40 percent of its daily schedule. The busiest airport in Europe, London Heathrow, scrapped more than 200 flights. Heathrow said a decision was taken 24 hours in advance to cancel 130 flights due to predicted poor visibility, but problems elsewhere in Europe were having an impact too. “The additional cancellations are because a number of airports elsewhere in Europe are experiencing problems so that has a knock-on effect for us,” an airport spokesman said. Heathrow has spent 36 million pounds ($57 million) on upgrading its snow-clearing equipment since 2010, when freezing temperatures and snow almost brought the airport to a halt in the approach to Christmas. Freezing rain and snow also led to treacherous conditions on railways and roads, triggering numerous accidents. In southwestern Germany, police recorded more than 1,000 weather-related accidents and in the northeast, near Berlin, an entire section of motorway was shut to traffic. In Belgium, three people died and two others were seriously injured when a minibus they were travelling in skidded off the road, overturned and caught fire at a motorway exit near Bruges, local authorities said. One woman died in the southern English coastal town of Deal after collapsing in the snow. Further snowfall was forecast for Frankfurt late Monday, with a spokesman for the city’s airport telling AFP that it expected further disruption to flights on Tuesday. Europe’s number three airport, Paris’s Charles de Gaulle, was also hit. France’s civil aviation authority DGAC said it expected to scrap 40 percent of flights to and from Charles de Gaulle and Paris’s other main airport, Orly, as a precautionary measure following heavy snowfall on Sunday. 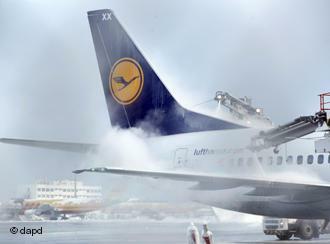 Even Munich, a city usually accustomed to taking snow in its stride, cancelled 161 flights at its airport as it grappled with the exceptional conditions. In Spain, flights bound for Paris, Munich and Frankfurt were hit, leading to the cancellation of 16 flights to and from Barcelona. Smaller airports in Britain were virtually closed down after fresh snow fell in northern and central England overnight, with planes grounded at Manchester, East Midlands, Leeds Bradford and Doncaster Sheffield. Under-sea train services between Britain and continental Europe were also hit, with Eurostar cancelling six trains linking London with Brussels and also Paris due to speed restrictions on the tracks in northern France. In Moscow, unusually heavy snowfall of almost 50 centimetres (20 inches) caused traffic jams but did not affect flights at its airports, which are well-equipped for snowstorms. The snowfall over the last four days in the Russian capital exceeded the average for the whole month of January, said Moscow Deputy Mayor Pyotr Biryukov. Ethiopian Airlines on Thursday grounded its four Boeing 787 Dreamliners following a decision by the Federal Aviation Administration to take the planes out of service in the United States because of a risk of fire from its lithium batteries. The Ethiopian airline said its 787s have not encountered any of the problems experienced by other airlines’ Dreamliners, but that it would ground its new Boeings “for precautionary inspection,” the company said in a statement to The Associated Press. The FAA on Wednesday grounded Boeing’s newest and most technologically advanced jetliner until the risk of battery fires is resolved. That order applied only to the six Dreamliners operated by United Airlines, the lone U.S. carrier with 787s. But the order placed other airlines and civil aviation authorities under pressure to follow suit. Earlier this week Ethiopian Airlines announced that it had successfully integrated its four 787 aircraft into its fleet with record-length flights. 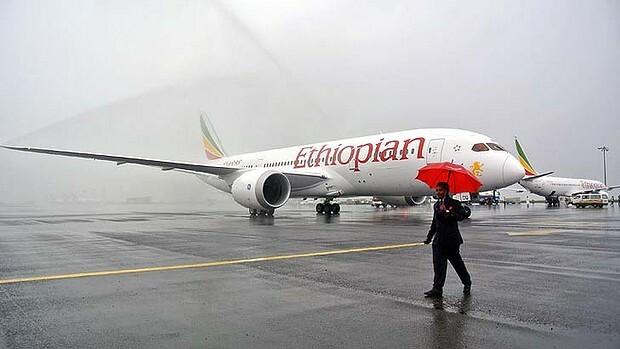 Ethiopian Air said it had become the only carrier in the world to reach the design range capabilities of the Dreamliners by flying the aircraft from Washington D.C. to Addis Ababa, a distance of 11,500 kilometers (7,145 miles), Ethiopian Air’s longest-ever flight. Ethiopian is the first African and the third airline in the world to operate the Dreamliner. The 787 is the first airliner to make extensive use of lithium-ion batteries to help power its energy-hungry electrical systems. The batteries charge faster and can be better molded to space-saving shapes compared with other airplane batteries. But the batteries have been prone to catching fire. Foreign visitors to Lalibela were in for a nasty surprise on January 8, 2013, when they arrived at the holy churches and were told entrance fees had gone up by 160pc overnight. The fee went up from 350 Br to 910 Br to visit the Lalibela churches in the Amhara Regional State, an hour’s flight from Addis Abeba. The town of Lalibela was buzzing, with numerous people making a living from the tourism industry bracing themselves for the impact of the price increase, amidst concerns over how foreign visitors would react. Over 56,000 foreign visitors were reported to have arrived in the town, 636Km north of the capital, in 2011/12. Lieuwe Bos, 24, a medical student who has just finished his studies and was travelling across Ethiopia with his girlfriend, was unable to pay the fees last week and did not go in. Church officials vehemently defended the price hike, whilst hotel owners, tour guides and other tourism dependents denounced the increase as a ‘greedy grab’ by church officials, unconcerned about their livelihoods. Those opposed to the increase said that to keep within their budget, foreign visitors would simply spend less on other services in town, such as; buying souvenirs, hiring guides and staying at better hotels. One critic, involved in the tourism industry in the town, said that the head of the church in Lalibela was a powerful figure who kept his superiors happy by sharing the rich revenues that come from tourists. Habtemariam Baye, who is in charge of the ticketing office at the churches, defended the price hike as long overdue. 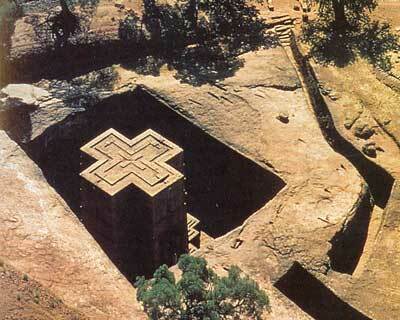 The entrance fees for all of the 12 rock hewn churches of Lalibela have gone up by 160pc to 910 Br. Reuters) – An Austrian man was shot dead during an apparent robbery of his travel group that was rafting down the Blue Nile river in Ethiopia, the foreign ministry said on Monday. Three other Austrians accompanying him were unharmed in the incident that occurred on Sunday in remote country near Bahir Dar, about 570 km (350 miles) from the capital Addis Ababa. The gunmen attacked the men as they camped on the shore, a spokesman said. Ten Austrians in all were taking part in the tour. The survivors alerted the Austrian embassy by satellite phone about the fatal shooting of the 27-year-old victim. The gunmen eluded a search party. The ministry’s website carries a travel advisory warning about the risks of terrorist attack in Ethiopia and the danger of kidnappings in some border areas, but has no warning for the region where this attack took place. Five Europeans, including an Austrian, died a year ago when their travel group was attacked in the Afar region near Eritrea. You are currently browsing the TOURIST LIFE TRAVEL & TOUR blog archives for January, 2013.